I went to a baseball game today. It lasted two hours and 45 minutes. A relatively quick game considering the major league average is just under 3 hours. 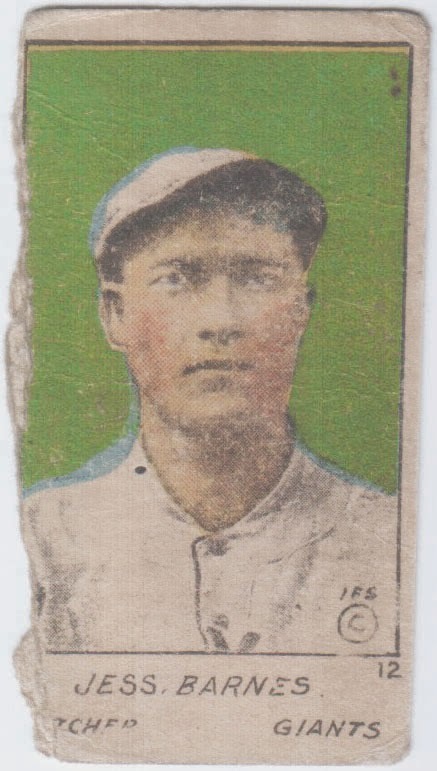 On Sept. 28, 1919, Jess Barnes set a Major League record. He pitched a complete-game, five-hitter in 51 minutes. The Giants scored five runs on 13 hits. The Phillies scored one run on 5 hits. I've waited at concession stands longer than 51 minutes. Today's game had a combined nine hits and three runs and lasted more than three times as long. I understand there was no TV or replay reviews in 1919. And I know pitchers were more likely to pitch longer and not yield the ball to relievers. But something needs to change. I continually hear that games are too long and something has to be done to make them shorter. Today's baseball is big business and unless we're willing to give up commercial breaks, it doesn't seem likely we'll ever see the likes of Jess Barnes again. When it comes to poor old baseball cards of the 1950s-60s, there's a hierarchy. First, there's Mickey Mantle. Next are Willie Mays, Jackie Robinson, Hank Aaron, Roberto Clemente and Sandy Koufax. Stan Musial, Warren Spahn, Eddie Mathews and Ernie Banks follow. I'm sure there are others I'm forgetting but that's the way it all shuffles out in my head. It has nothing to do with stats. If it did, Banks would rank right up there with Mantle. As it stands, Mantle's cards are worth many times more than Banks. This poor old Ernie Banks set me back $6. A Mantle card in the same year and condition would probably cost around $60. Mantle played 18 seasons and hit 536 homers with 1,509 RBI. He was a three-time MVP. Banks played 19 seasons and hit 512 homers with 1,636 RBI. He was a two-time MVP. Mantle was the premiere American League player of the 50s-60s. Banks shared the spotlight with the likes of Willie Mays, Hank Aaron, Roberto Clemente, Stan Musial and Eddie Mathews in the National League. Mantle played in New York; Banks in Chicago. Mantle played in 12 World Series and won seven; Banks played in none. 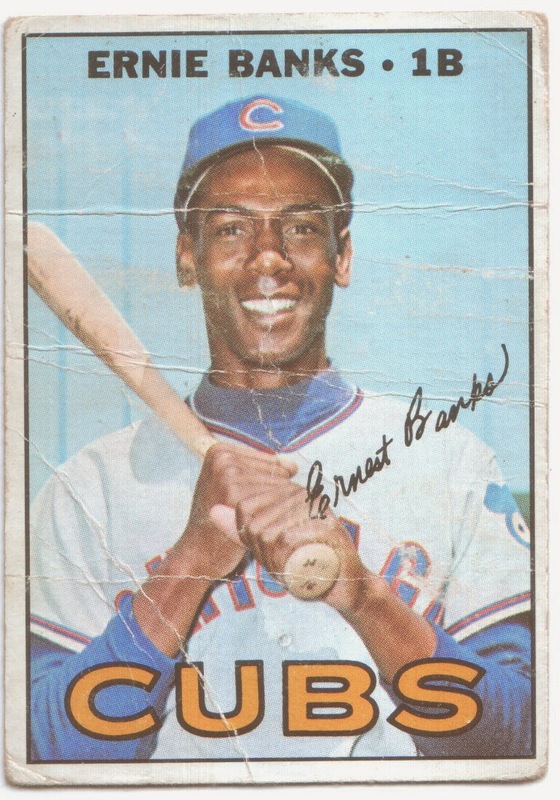 Are Ernie Banks' baseball cards underrated? Yes, his cards should be right up there with Mickey Mantle's. Yes, only because Mickey Mantle is overrated. No, Mickey Mantle deserves to be in a league of his own. No, Banks never won a championship.